Many Lake County residents returned to their homes Monday, but some had nowhere to return. 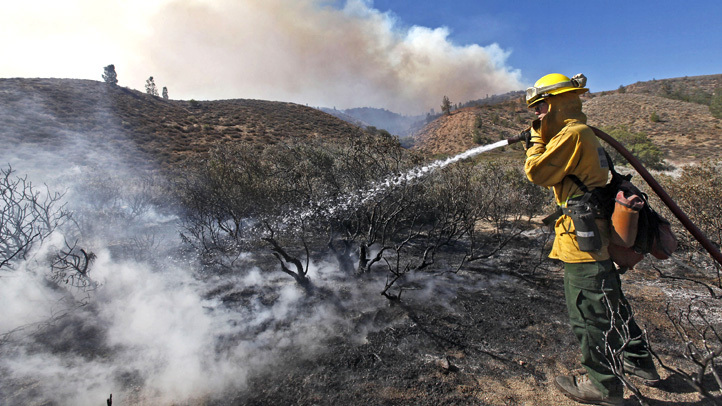 The aggressive blaze, which at last count has scorched 75,781 acres and is 75 percent contained, has gutted 1,910 structures, according to Cal Fire. One such house belonged to Maria Vasquez, a single mother of four children – one of whom is severely disabled – who was burned not only out of her apartment, but also her job. Currently, the Vasquez family is taking shelter in an evacuation center in Calistoga. But she has nowhere to go when it closes Thursday. “I lost everything,” said Vasquez, adding that her she doesn't have homeowners' insurance. Vasquez worked as a housecleaner, but the Valley Fire destroyed her apartment as well as four of the six homes she cleaned. Her rent was $700 a month but now, the cheapest house she can find is for $2,500. Vasquez's car is broken down so, on Monday, she loaded up a borrowed truck with the last of her possessions. She, with her disabled 21-year-old daughter Ariana and 9-year-old son Nikki in tow, decided to join her two teenage children at a campsite she had never seen and mull a future just as unknown. “My heart is broken now. That's it,” she said.